The trade in endangered species as well as common wildlife is a very big problem in Vietnam despite being addressed by the authorities as well as by international and locally-based organizations. Unlike the other sectors (livestock and companion animals), wildlife has international support and large-scale marketing campaigns exist to address reducing the demand. One of our favorite organizations, Animals Asia, addresses the bear bile industry by cooperating with the government, attacking demand, and reducing the supply of bears being farmed for their bile. This comprehensive strategy has made it one of the most successful programs in the wildlife trade. The trade in primates continues to be a big problem here, whether endangered or common species, and Environment for Nature- Vietnam (ENV) is one the organizations that works hard to handle the reports of wildlife crimes such as these and to work with the government authorities in confiscating the animals from criminals. While it is illegal to have primates in captivity as pets in Vietnam, it is not uncommon, and addressing this trade is very difficult. International treaties along with funding and resources for combating the wildlife trade is a big step forward, but it is not enough. 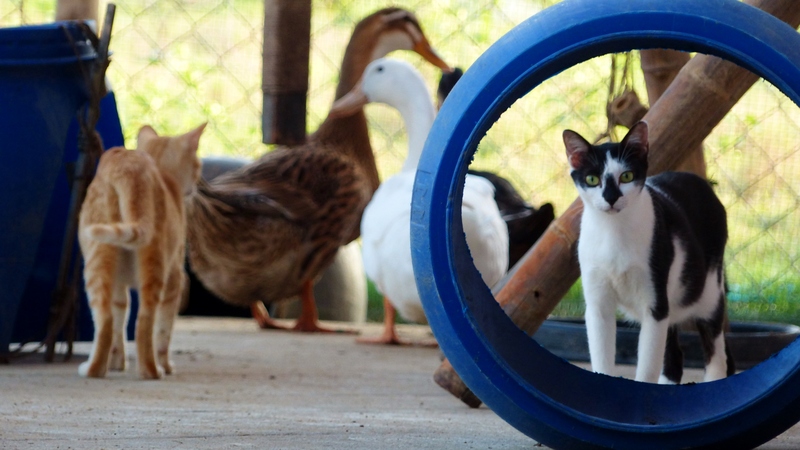 Local education programs that teach the public about Vietnamese law and the terrible fate of these animals will push for society to make changes. Training local government to recognize and react to wildlife crime will help as long as corruption is kept in check. When citizens and tourists learn to recognize wildlife crime and how to report it, it will make it much harder for criminals to capture and sell wildlife and wildlife products. We frequently get emails from tourists traveling in Vietnam when they have seen monkeys living on chains or in cages as personal pets. We ask these people to immediately report the address and send a Google maps pin plus pictures to ENV who is the liaison to the Forest Protection Department of Vietnam that carries out the confiscations. We spread the word of wildlife trade issues in Vietnam through our social media so that both locals and tourists can more effectively identify and react to wildlife crimes. We look to the wildlife sector as being instrumental in development of demand reduction strategies for both farmed animals and companion animals as well.